During the opening keynote of Microsoft Build Developer Conference last night, a significant part of it was dedicated to demonstrate Windows Phone 8.1. That doesn’t mean the company’s other operating system – Windows 8.1 – was side lined from the show though as Microsoft has also showcased a set of new features that will be released to users very soon which are aimed to provide better experience for mouse and keyboard users on the operating system. One such change is that the Modern-style (previously known as Metro) apps will soon come with their own title bar which will contain Minimise and Close App button. 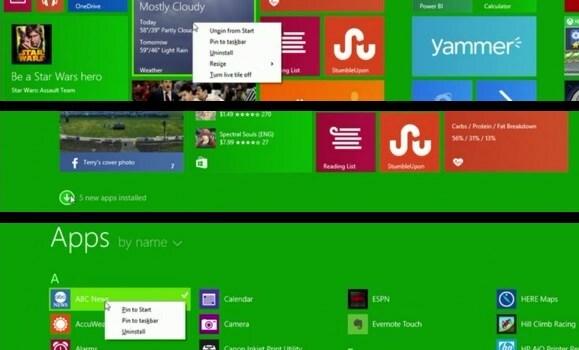 Additionally, such apps can be pinned directly on the taskbar. Not only that, users will also have the ability to seamlessly switch between Modern apps or even between Modern and Desktop apps through the taskbar. Apart from that, power and search buttons will also be added next to user’s profile photo, so that users will no longer need to find them through Windows 8.1’s Charms menu on the left corners of their screen. Microsoft has also added right-click context menu on the Start Screen and the ability to highlight multiple Live Tiles together. 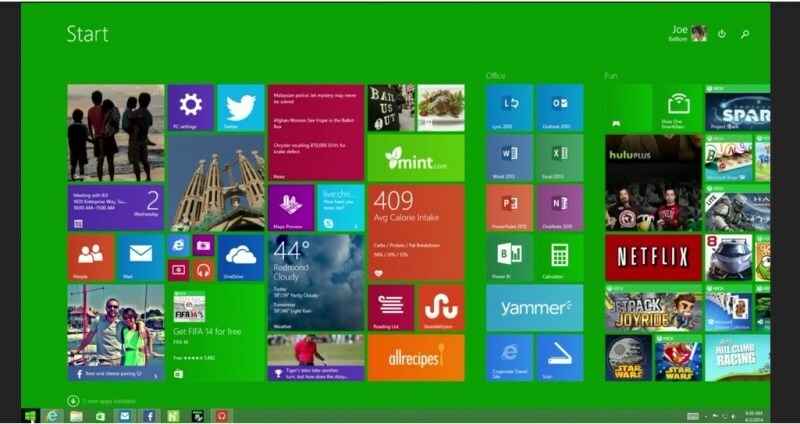 The Start Screen will also receive a set of visual clues to help users see newly installed apps in All Apps view. Additionally, Bing Smart Search will also be upgraded to include apps from Windows App Store in its search results. The Windows App Store itself will also be updated soon to provide better navigation for non-touch users. 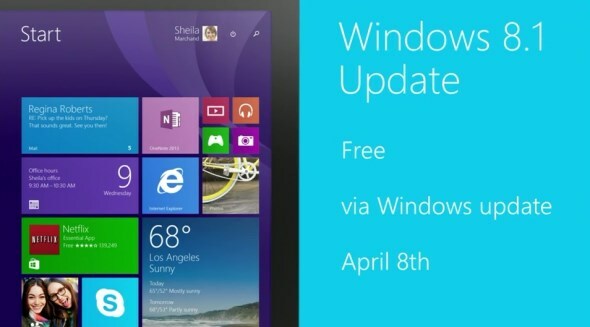 As shown above, Windows 8.1 Update will be released to Windows 8.1 and Windows RT 8.1 users through Windows Update on Tuesday, 8 April. MSDN subscribers is able to obtain it from today onwards.